SPRING HAS FINALLY SPRUNG BABES! While I absolutely love sweater season, enough is enough and I am so ready for warmer temps. SO, now that we can leave the house without a jacket and pants, it’s time to bust out my favorite basics for spring!! 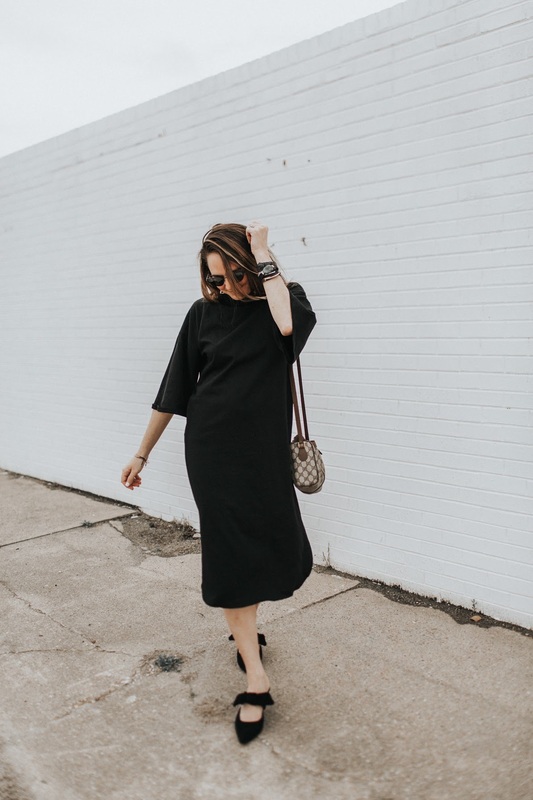 I bought this black midi dress during the winter (for only $32!!!) and have been so excited to wear it this spring. It’s a classic from ASOS, comfortable and the perfect midi length. 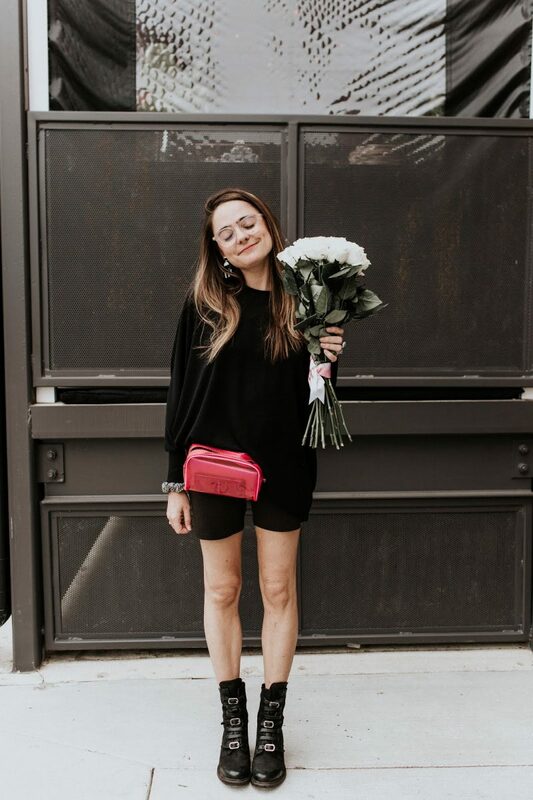 I’ve worn it with everyone from sneakers to my favorite new kitten heels from Botkier! You guys know that I always go to ASOS for my affordable closet staples, but I’ve added a few from other retailers for you guys as well. I am a newly converted lover of kitten heels. After years of watching Cath rocking them in various looks on The Crystal Press, I decided to try ’em out for myself. When Botkier reached out about a spring collaboration, I was delighted to see this pair in their current collection. I have been gravitating less and less towards wearing high heels lately, so these seemed like the perfect compromise! They still improve my posture, but they’re much more comfortable and practical, especially on a daily basis. I met Sabra from Charbellem when I was helping my mom sell Turkish Towels at Collegiate last week and fell in love with her stuff! 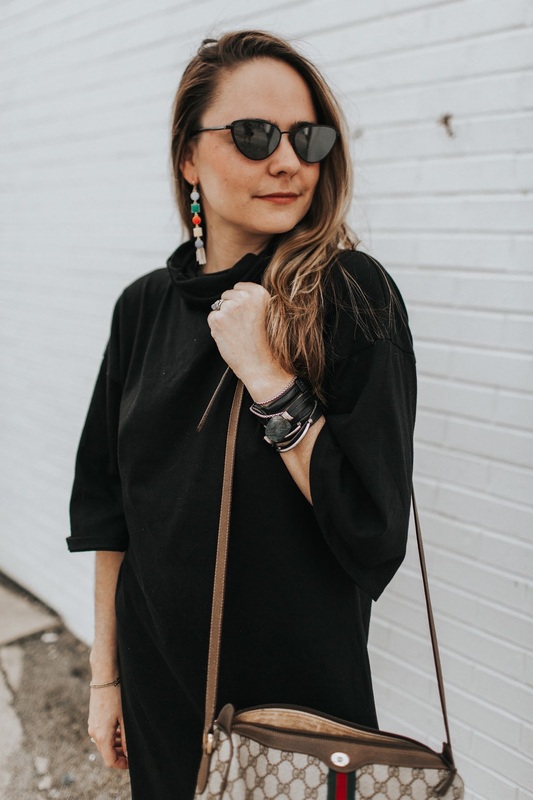 She has handmade leather goods from Aspen, Colorado (like the wrap bracelet you see here), a specially curated clothing selection & jewelry from Asha! Check out her instagram – you can buy via DM! Now this is my kind of spring outfit! 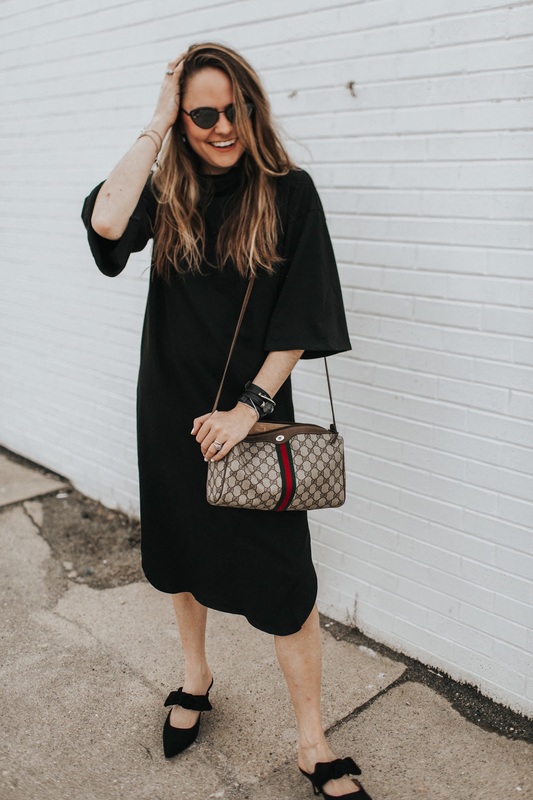 I love this simple black dress! I love that dress, it looks like a perfect transitional piece, just that extra bit of coverage when you still need it. And your kitten heels could not be cuter! 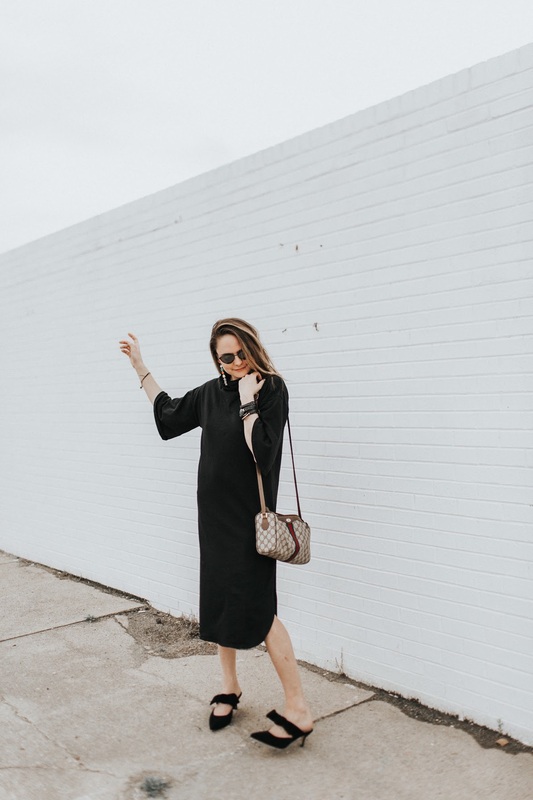 I am loving this round up of midi black dresses – what a great spring transition piece! I have a handful of kitten heels on my wishlist for spring, and now you’ve just made me add some more hehe. 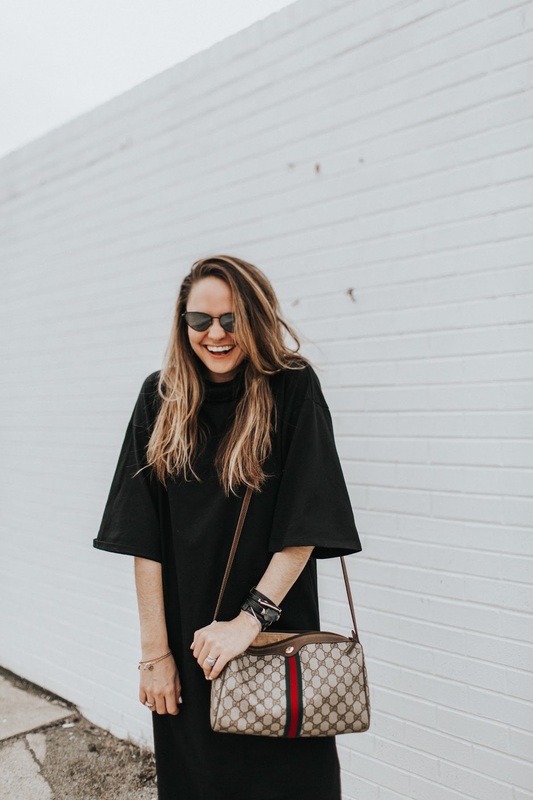 Love that you’re not adhering to the typical “pastels and neutrals” but instead going for classic, black items for spring. 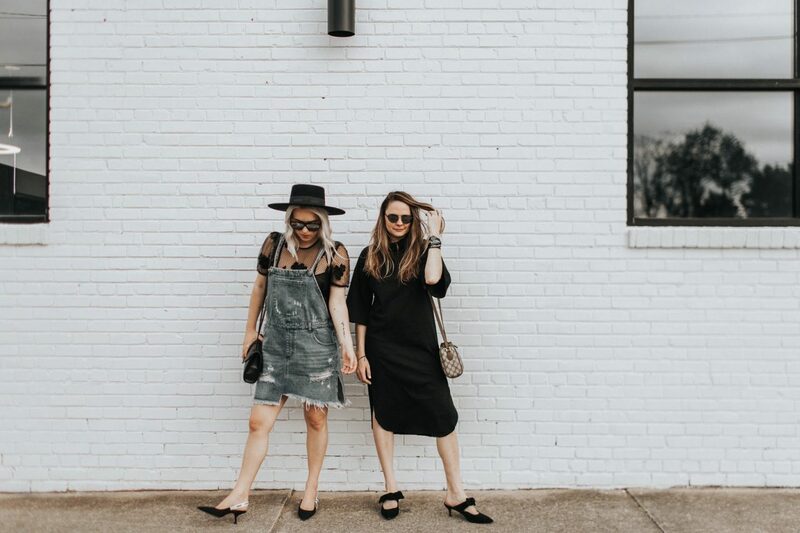 Oh these midi dresses are all so cute! These would be great for work, I can dress them up! I would live in this comfy dress! I want it in a million colors and patterns! me too, girl! me, too! I am living for your dress. I need this so much, it is absolutely amazing. I am always game for a midi dress. Love this one even more for it’s cut and style. I am sold. Obsessed with those kitten heels (and that bag of course!). This is such a chic spring look! That bag is a steal! I’m going to look for some too, vintage Gucci for the win!